Today was a crazy day. We saw a ton of great things but I only have time to tell you about a few of them—if I tried to tell you about all of them I would be back in the States before I was done! We met with Tag Heuer today after attending a party last night celebrating 150 years of innovation. 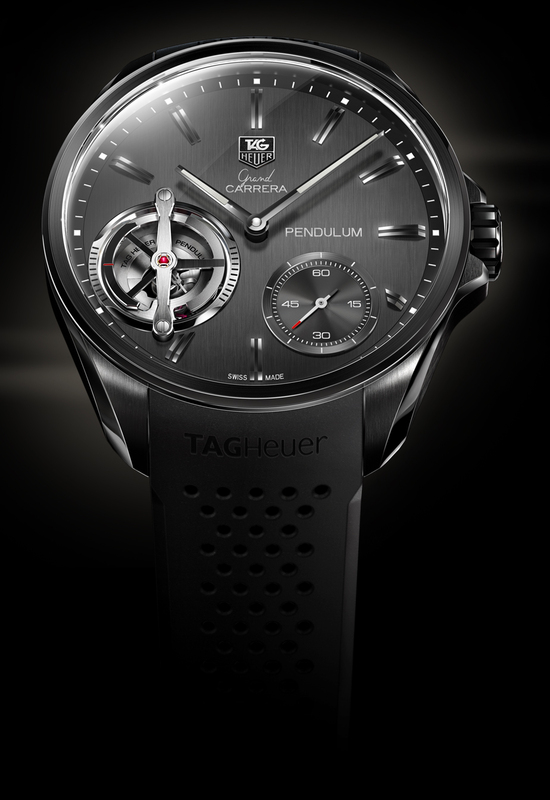 To celebrate they launched a new concept watch, the Pendulum. The Pendulum is an automatic watch that runs without a hairspring. Historically, the hairspring has been an integral part of the watch movement, regulating time keeping. The Pendulum movement replaces the traditional hairspring with a magnetic field. Pretty amazing technology! Although the Pendulum watch is still a concept we saw a working model. Tag doesn’t know when or if they will put the watch into production. As usual they are the leaders in innovation and design in the watchmaking world, following on the heels of the Monaco V4 they developed a few years ago that featured a movement designed with ball bearings and drive-train belts rather than traditional gears and springs. Tag has a bunch of fantastic new items coming out this summer. My favorite is the new ceramic and stainless steel Formula 1. Ladies ceramic watches are everywhere here in Basel but the Tag Heuer collection is priced to sell and are stunning—especially with the diamond bezel. 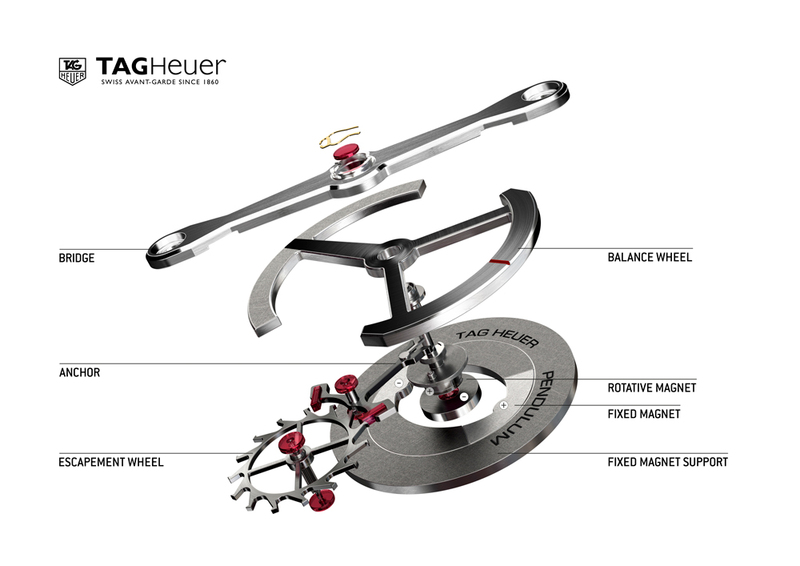 They are also launching their own patented in-house movement: the Tag Heuer 1887 chronograph. 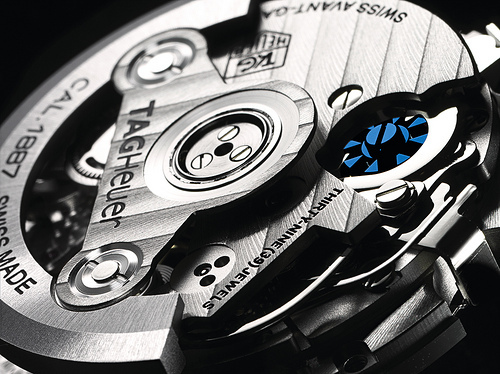 It features an oscillating pinion 2/1000th of a second column wheel and is touted as being 30% more efficient than other automatic chronograph movements. 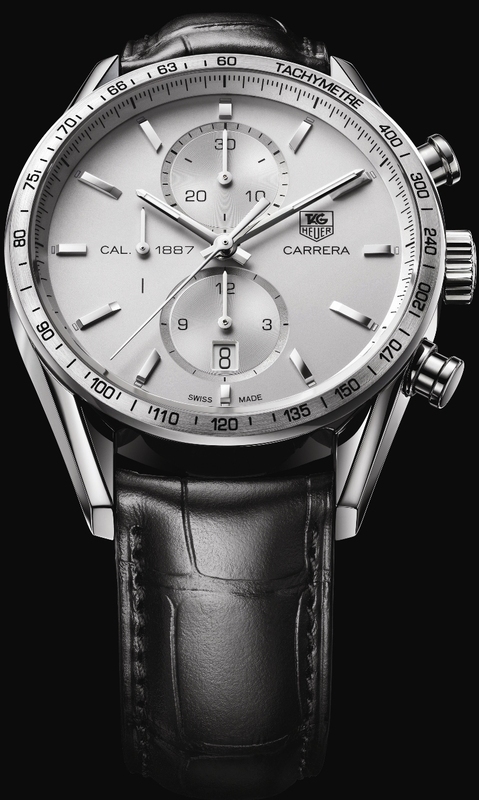 It has a bi-directional winding system and a 50 hour power reserve. It is a noteworthy accomplishment. The caliber 1887 will be in some of the watches being released this fall including a limited edition SLR Calibre 1887. Tag had an outstanding selection of new offerings at fantastic price points. There are many great things to look forward to this year! Gucci was a fun appointment, as well. The group is reaching into its history books to reintroduce some of its best successes and is also introducing some new classics. First the fun stuff. Remember the interchangeable bezels? They are back! But better than ever. The new Gucci “U-Play” collection. 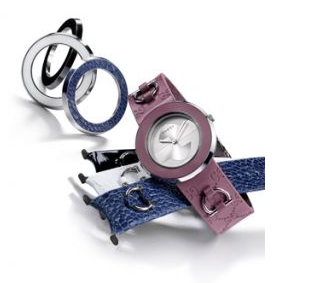 Each watch comes with an interchangeable bracelet and bezel set. You can easily change the look of the watch by removing the bracelet and putting on a strap or simply changing the bezel color. The new interchangable design allows the wearer to change the combination of colors and materials to fit any occasion or just express herself. U-Play will be tons of fun! Gucci is also launching their new G-Timeless collection. There is a watch for everyone. The new collection is simple but elegant and the prices are terrific. These are available for delivery now and will be in stores soon! I have to run- I am late for dinner! P.S. I was told yesterday that my blog was so exciting people were waiting in anticipation, like pre-teens girls awaiting the next Twilight novel! I am touched! I have to give credit to my editor Marc Bridge for putting the final touches on for me.